Eman Ahmed made it to the headlines when she arrived in Mumbai from Alexandria, Egypt for a bariatric weight loss surgery this February. Ahmed, 36, weighed nearly 500 Kg and made it to the Guinness Book of World Record as the heaviest woman alive. 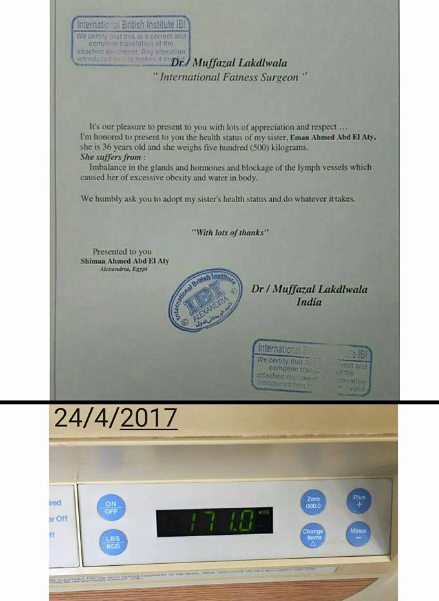 The news of her miraculously shedding 325 Kg at Saifee Hospital, Mumbai in just a couple of months had left the medical fraternity worldwide in awe and disbelief. 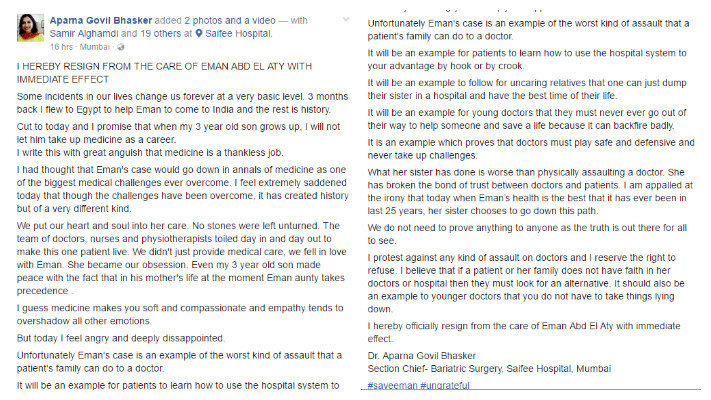 Lately, Shimaa Selim, her sister, uploaded a video on Facebook where she is accusing a renowned Mumbai doctor and the hospital for cheap publicity and neglect of duty in releasing Ahmed without a complete treatment. “Everything was a lie. God forgive them for what they have done… Eman did not lose 240 kg or 260 kg,” she said in Arabic in the video. The doctors had shared the details of Eman Ahmed’s rapid and successful weight loss with the media and have also informed that her health was 75% better than when she arrived. However, her family has alleged that the hospital is discharging her without a full treatment. Shimaa has added in the clip that her sister is far from healthy and has been suffering epileptic seizures for last two months. In addition to this, she also had a stroke after her surgery in March. However, Dr. Muffazal Lakdawala who heads the hospital had dismissed all the allegations against the hospital. “Eman Ahmed has lost a lot of weight and I have fulfilled my promise that she would be able to sit in a chair. Now, she is suffering from neurological problems and that doesn’t fall under my supervision. A video is circulating within the Egyptian consulate. 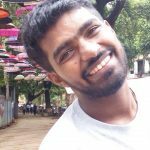 The officials who helped us in getting Eman Ahmed to Mumbai are ashamed of her behavior that they are sending their apologies,” he was quoted speaking to a leading Mumbai daily. Now, it has been reported that Dr Aparna Bhaskar, Section Chief – Minimal Access Bariatric Surgery, has announced her resignation on Facebook without any immediate notice. “What her sister [Shimaa] has done is worse than physically assaulting a doctor. She has broken the bond of trust between doctors and patients. I am appalled at the irony that today when Eman’s health is the best that it has ever been in last 25 years, her sister chooses to go down this path,” Bhasker posted in an emotional message.